If you have just moved or visiting in the areas of Bradenton and Sarasota Florida and run into a dental emergency, or maybe you are looking for a reliable dentist who is accepting new patients, you don’t have to look very far. Dr. Peter Engelsberg at Midtown Dental Center in Sarasota Florida is accepting new patients, and his professional and friendly dental team will be more than happy to provide the dental care that you need. Finding a dentist you can trust can be challenging. There are also some reasons that dentists may not be accepting new patients. Some dentists may have a hard time with a sudden influx of patients and may have scheduling problems to address their patients’ needs. Also, some dental offices may be in the process of renovating or are still in a transitional process where they cannot accommodate new patients. These issues could affect the dental care that patients like you need. At Midtown Dental Center, we know that your oral health is important and that you deserve the best treatment possible. Dr. Peter Engelsberg, your reliable Sarasota Florida dentist, is accepting new patients. He and his dental team serve the Bradenton and Sarasota Florida community and will see that your dental needs are met. Whether you are looking for general, implant, or cosmetic dentistry, you can be sure you are in good hands at Midtown Dental Center. Dr. Engelsberg’s dental staff will accommodate you as if you have been a patient for years and will make every dental visit as comfortable as possible. Dr. Peter Engelsberg is a skilled cosmetic dentist who can help you with the smile makeover you are looking for. Whether you want teeth whitening or are in need of solutions to cracked or discolored teeth, cosmetic dentistry procedures at Midtown Dental Center can address these issues. You can also have general dentistry procedures including regular cleanings and check-ups to keep your dental health in excellent condition. 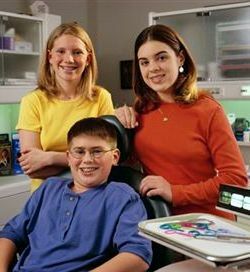 Not everyone has immediate access to quality dental care, and looking for a reliable dentist is not easy all the time. You want a skilled Sarasota Florida dentist you can go to when you need care, and who can see to your dental needs promptly. If you live near or around the areas of Bradenton and Sarasota Florida and are looking for a reliable dentist who is accepting new patients, get in touch with Midtown Dental Center immediately.